You might think that back surgery is the second if not the first option when it comes to treating back pains. If you are one of those who think that way, then you are wrong. This surgery is considered only when other methods failed. Back pain is experienced by many people due to a lot of factors. These include, back bone stress, improper posture, deformities and accidents. Most cases use conservative therapy treatments for a month or even longer. Only a few patients who are suffering from back pains for three months consider undergoing this kind of surgery to relieve their pain. It’s usually considered if the spinal nerves are compressed causing numbness at the back of the legs. Chronic pain or pain felt for 6 months or more can be caused by various factors. It can be due to a reduction in the spinal space amount and compression of nerves. 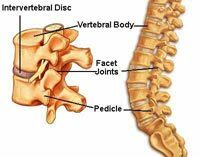 There are times when the discs that separate the spinal bones swell and rupture leading to nearby nerves’ irritation. However, people suffering from this illness may not feel pain at all. Bone fracture can happen due to a direct injury or osteoporosis. A fractured vertebral column may heal with no help at all but an unstable spinal column needs medical involvement. Doctors may combine two or more vertebrae together with the use of rods, screws, cages, metal plates and grafts. Laminectomy entails the removal of the spinal canal bone to ease nerve pressure due to spinal stenosis. Diskectomy refers to an open surgery to remove a herniated disk section to widen the narrowed vertebral area. Vertebroplasty entails the injection of bone cements into the compressed vertebrae in order to make the fractures steady and lessen pain. Kyphoplasty which is a balloon-like device is added before the cement in order to enlarge the compressed vertebral column. Spinal fusion involves a connecting two or more bones permanently. The doctor will remove the whole disc and combine the vertebral bones surgically. It can remove motion pains resulting from friction between injured and collapsed disks. Back surgery back surgery is regarded to be the last resort, and it’s better to obtain second a opinion from spine specialists before pursuing the operation. These experts can recommend it or give other alternatives such as posture braces posture braces.